$39.99 for a limited time. This application is a quick and visual guide for diagnosis and step-by-step management of medical emergencies, which can be used quickly when an emergency situation occurs. Moreover, it trains CPR and ABC practice by educational animations, provides visual training on establishing an IV line, includes important tips for prevention of medical emergencies in the dental office, and provides the list of necessary drugs and equipments that should be available in the dental office for management of common medical emergencies. Most of the dental treatment procedures are not life-threatening. However, a patient may dye in dental office due to occurrence of a medical emergency situation. 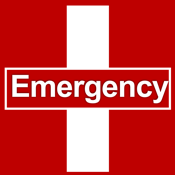 Medical emergencies in the dental office are not common, but they are a great concern in dentistry since they may lead to patient death. The dentists are required to possess essential knowledge, skill, and equipments for management of medical emergencies. They are expected to be fully prepared for management of common medical emergencies that may occur in dental office. True diagnosis of the emergency condition is of pivotal importance. The dentists should be skillful in Cardio-Pulmonary Resuscitation (CPR) and maintaining Airway, Breathing, and Circulation (ABC) practices, establishing an IV line, immediate diagnosis of the emergency condition, and management of emergency situation. These are what this application presents!